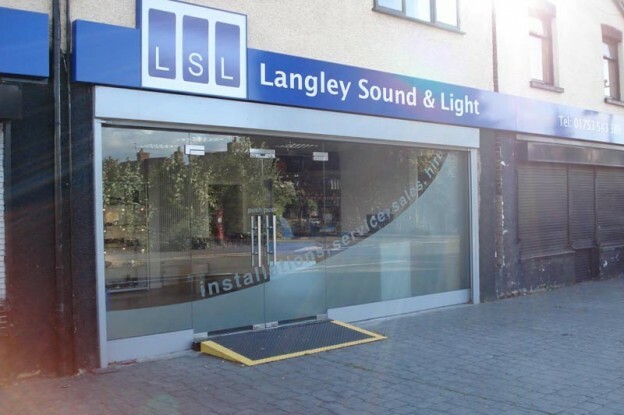 Langley Sound & Light are a renowned name in the entertainment industry. We offer an unrivaled comprehensive service, based on technical knowledge and high quality after-sales support. We provide impartial and constructive advice on all aspects of professional PA sound, DJ, Audio Visual and lighting systems. We have an extensive hire department, to cater for many different requirements, whether you need to supplement your own equipment portfolio or hire a complete package. We provide top quality PA systems for outdoor events, conferences, road-shows, DJs, and many more. We have a large selection of Stage and club lighting on hire, such as moving heads, lazers, LED wash lights, spot lights and much more. As well as many auxiliary hire items such as outdoor generator hire, rigging equipment and projector hire. John Little:- John studied electronic engineering at both Reading and Farnborough Colleges, and later attended Bath University to further his understanding of the subject. Since the opening formation of Langley Sound & Light, John has designed and created many different custom made systems for clients, and has overseen the technical aspects of a variety of events, road shows and installations. John’s awareness of visual and audio products allows him to provide a tailor made specifications for even the broadest of design briefs. Cecily Little:- The ever friendly Customer Services Manager, Cecily is often the first point of contact for many customers. Cecily began her career at the Department for Work and Pensions (formerly the DSS) where she worked for thirteen years and was promoted to Higher Executive Officer. Cecily began by covering the Sunday morning shift, however her roles and responsibilities grew as quickly into the key full time management role she now holds. Ryan Norfor:- Having joined LSL in 2010, Ryan has quickly progressed through the ranks and now manages and runs most of our DJ & Roadshow projects. Projects include custom mixer, video and amplifier racks. Ryan brings unique touches and looks to custom projects, ensuring customer requirements are met. Being an enthusiastic DJ & lighting technician himself, Ryan is able to relate the technology to live event situations, offering an enlightened perspective on what equipment will help benefit customers and their shows. Lee Moody:- Lee is our newest member at LSL. He came to LSL with a good background of wiring and electrics. Before joining full-time, he worked with LSL on a casual basis, supporting installations and various other events. He is a very down to earth, practical, hard working person. He takes control of some repairs, and is keen to expand his knowledge of sound and lighting.